Memory, impressions and social perceptions are among the research specialties of psychology professor John Skowronski, Northern Illinois University’s newly named 2015 Board of Trustees Professor. And NIU students who have taken his courses will tell you the professor certainly is unforgettable. Alumnus Randy McCarthy remembers Skowronski’s “smooth lectures,” the precise way he communicated complex topics and his encyclopedic memory of materials and outside research. 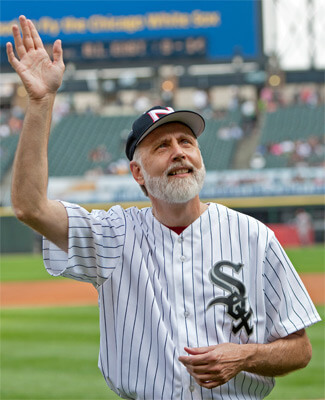 He recalls personal conversations that seamlessly flowed from the philosophy of science to Skowronski’s beloved White Sox. 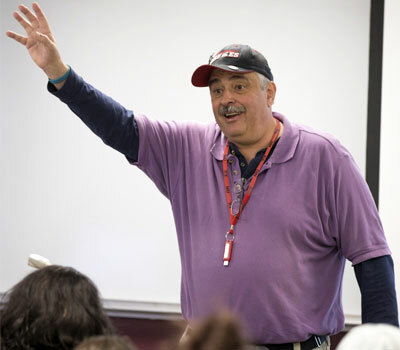 He describes his professor’s generosity and friendliness – bringing in vegetables from a home garden, donating to campus organizations, providing students with his undivided attention. Most vividly, McCarthy remembers the red ink – lots and lots of his professor’s red ink – on each draft of McCarthy’s graduate thesis. Countless undergraduates, grad students, NIU alumni and colleagues share similar impressions: mentor, collaborator, friend. Skowronski recognizes that he asks students to work very hard but believes he provides fair value as compensation. Skowronski designation as the 2015 NIU Board of Trustees Professor recognizes his effort and its results. The award is the university’s top honor for international prominence in research and excellence in all facets of teaching. Accompanied by a $10,000 stipend and renewable annually during a five-year term, the professorship will be formally presented to Skowronski during the annual Faculty Awards Ceremony and Reception from 3 to 5 p.m. Monday, April 13, in the Altgeld Auditorium. “Dr. John Skowronski epitomizes the values of NIU,” President Doug Baker said. Skowronski came to NIU in 2000 after 14 years on the faculty of The Ohio State University at Newark. Over the course of his career, he has published more than 125 research articles, often in top social psychology journals and frequently with current or former students. His work has been cited more than 5,500 times and has been described in psychology textbooks used across the globe. Skowronski also has written a professional-level book, edited another and written 22 chapters for edited volumes. He served as an editor or on the editorial boards for numerous academic journals, and he has given more than 100 presentations at academic conferences and institutions. “Dr. Skowronski is a credit to the field as well as to your institution,” says Constantine Sedikides, a former student of Skowronski’s at Ohio State who now directs the Centre for Research on Self Identity at the University of Southampton in the United Kingdom. Much of Skowronski’s research has explored why and how people form their opinions about others’ personality traits. His early examination of biases in social judgments contributed to new theoretical perspectives. Additionally, his work increased understanding of the spontaneous impressions that people generate about others, how those impressions can be measured and the after-effects of their formation. Skowronski also explores autobiographical memory. He has shed light on why we remember some things and not others, how we place events in time, how our memories make us feel and the role that communication has in creating our memories. He also is well-regarded for his evolution-based theoretical ideas related to the development of a sense of self in humans and for his work exploring social memory. 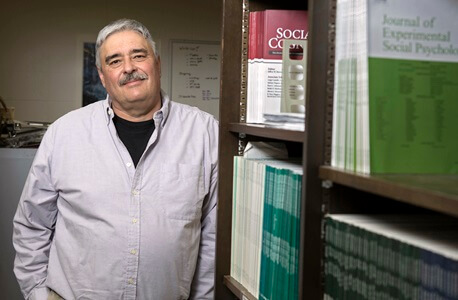 Most recently, Skowronski has worked with NIU’s Center for the Study of Family Violence (including with his former student Randy McCarthy) on applied research, focusing on potential differences in the social cognitions of parents who are at risk of child maltreatment. Skowronski has attracted strong graduate applicants to the Department of Psychology and has an active and productive lab. Additionally, he serves as coordinator of the social-industrial/organizational curricular area, where he sharpened the program’s research focus, found ways to provide more opportunities for students to gain teaching experience and improved the graduation rate of doctoral students. His generosity with his time extends to colleagues as well.